Saltt Catering was founded in 2006 by its Directors, Sachin & Sammir S Gogia. Its specialty lies in customising a global cuisine for its clients. The company offers regional Indian food which varies from Punjabi, Lucknowi, Maarwaari, Chettinad, and Bengali cuisines. It also offers Thai, Japanese, Vietnamese, European Italian, Mediterranean, and French. And all this served in the most stylish and experiential manner, for catering at its finest! The Embassy was established a year after India got independent, in the year 1948. Embassy is known for its trademark Indian and continental cuisine and offers multiple specialties within these cuisines. Pranay Bahl is the young and creative Director of the company who has infused its time-honoured classics with new variations and innovation. 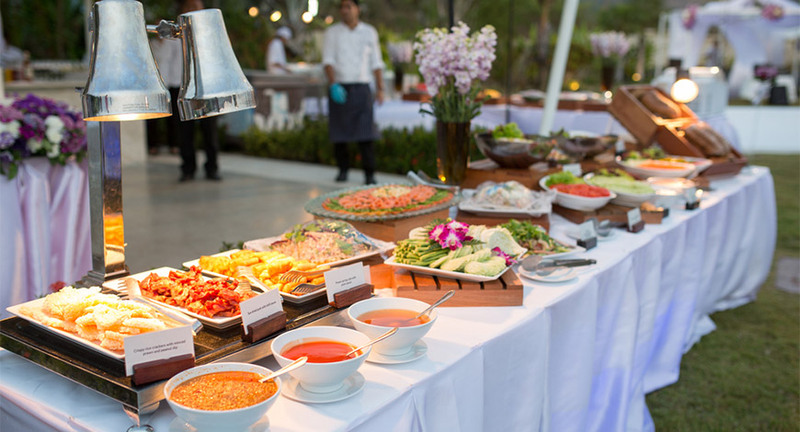 In general, the Embassy currently offers over 7000 dishes across 40 cuisines. Big appetite you say? Creative Cuisines Inc was founded in the year 2006 by its managing director Virendra Handa. It offers an extensive list of cuisines with personalized services; all provided by a talented and experienced team. The company offers a range of diverse cuisines viz. seafood, vegetarian and non-vegetarian. Besides covering flavours from the entire sub-continent, oriental and international favourites, it also offers special menus like Jain, gluten-free and vegan for guests with diet restrictions. Delhi Kitchen Catering was founded 6 years ago by the young and enterprising duo Udit Chawla and Aditya Kapoor. The boutique catering company digs its heels in detailed personalisation and top-drawer presentation. Its unconventional approach, novelty live counters and popular American BBQ has quickly placed this avant garde company as a favourite with many. Make your guests do a double take with its exceptional bar services and phenomenal cocktails served with the best lemon grill fish and butter chicken in town! Paprika Kitchen was established in 2009 by its Director Praveen Gandhi. Its specialty lies in providing exquisite themes for any occasion. The menus in Paprika Kitchen reflects the varying tastes and dietary requests of different cultures and religions, whether vegetarian, traditional or regional based. It has some of the best chefs specializing in varied national and international concepts like live food counters, ice carvings, and fruit and vegetable displays.